Join singer-songwriter Laetitia Shériff as she browses one of the world’s largest collection of vintage Martin guitars, at Vintage Instruments, a legendary **Philadelphia **music shop known for its extensive collections. C. F. Martin & Co, the legendary guitar brand, has been supplying musicians with their exceptional line of string instruments for nearly two centuries. The brand has made an international name thanks to its meticulous craftsmanship and premium quality guitar. Martins have become synonymous with the acoustic instrument, with world-famous musicians like Eric Clapton and Keith Richards confessing their love for the brand. The American guitar manufacturer can be seen and heard all across the world, but Philadelphia, Pennsylvania is still its home. 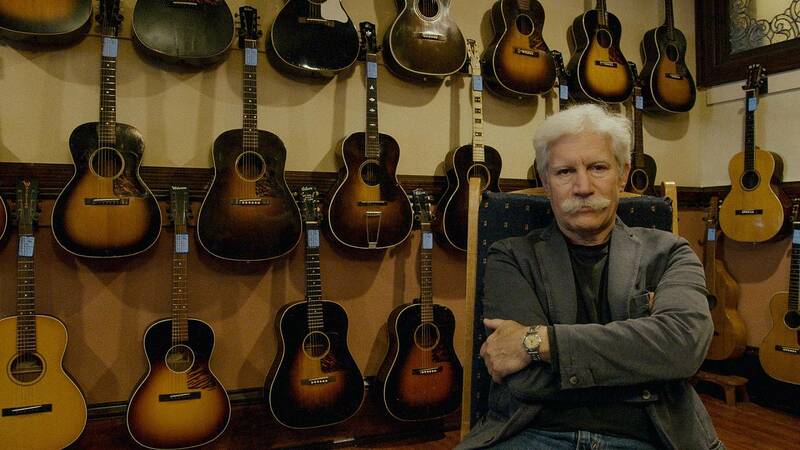 The factory’s location has created an inevitable bond between the instrument and Philly, which has allowed Mr Frederick W Oster built one of America’s largest stores and collections for antique acoustic string instruments. “We have the largest selection of these early Martin guitars, (...) and people come from all over the world to come and try [them],” says Mr Fred to Laetitia, in her guided tour of the eclectic store. “The 1930s are the best period for Martin guitars”, he says. Watch the video above to join Laetitia Shériff in her tour.